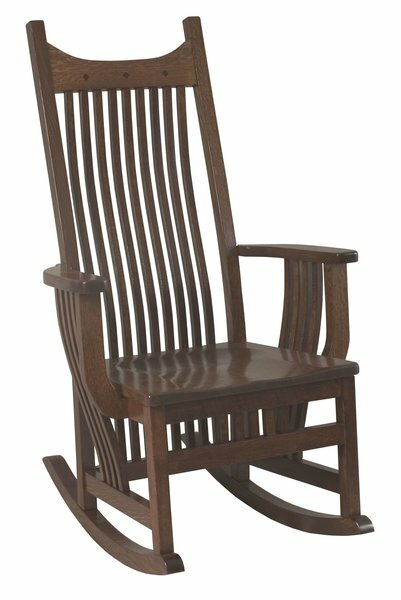 Elevate your rocker game with our Amish Royal Mission Rocker. This modern mission-style rocking chair is built with slats that are meticulously steam bent. Top style: Flat, flat with diamond inlays, or cut out with diamond inlays. Seat: Wood, fabric, or leather. Floor to wood seat: 18"
Floor to fabric or leather seat: 19"
Shown in Quarter Sawn White Oak Wood with wood seat. Engraving on rocker top is customizable. Call for price.